If you have never heard of this series it’s about a young woman who meets a retired Sherlock Holmes and they strike up a relationship. 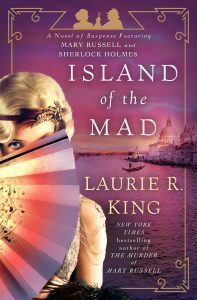 Mary Russell, our heroine, is young, but brilliant and she and Holmes work together to solve crimes. As she gets older she begins to have romantic feelings for Holmes and when a case abroad requires they travel together their relationship takes a drastic change. Mary is really the main protagonist and I love her mind. She is certainly Sherlock Holmes’ contemporary and a master sleuth all on her own. The series starts with The Beekeeper’s Apprentice and I highly recommend the series to anyone who loves a thoughtful mystery with deeply layered characters. Tell me about your favorite mystery/thriller series! Janice wrote: "Have a great day." Thanks much, and hope things are well with your family. I LOVE this series too! It's a wonderful mix of suspense, mystery, romance and Egyptian history/archaeology. Great storytelling with awesome characters. So so good! Oh sure, what's one more series to become addicted to! 😁 sounds right up my alley, thanks for sharing! I'm more into watching mysteries, and thrillers than reading them. But, I have purchased a few, when the ebook price dropped for a day. I purchased The Beekeeper's Apprentice, Charles Finch's, A Beautiful Blue Death, and Sherry Thomas, A Study In Scarlet Women (Charlotte Holmes). July, and August are slow. The authors I follow don't have any new books releasing until Sept., so I'll begin my journey in these 3 series of books. Diane wrote: "I LOVE this series too! It's a wonderful mix of suspense, mystery, romance and Egyptian history/archaeology. Great storytelling with awesome characters. So so good!" Yes! It is a great mix of so many wonderful elements! Maureen wrote: "Oh sure, what's one more series to become addicted to! 😁 sounds right up my alley, thanks for sharing!" You're welcome! ROFL!!! Yes, I am a fiction-enabler. Adaiah wrote: "I'm more into watching mysteries, and thrillers than reading them. But, I have purchased a few, when the ebook price dropped for a day. 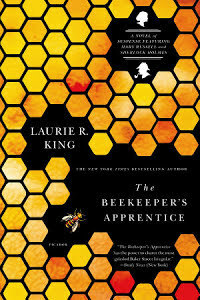 I purchased The Beekeeper's Apprentice, Charles Finch's, A Be..."
Hmm, the Mary Russel series is high in my faves. For Classic mystery the Lord Peter Wimsey books by Dorothy L. Sayers. (Best TV adaptation is the 1987 BBC versions of Strong Poison, Have His Carcase, and Gaudy Night, starring Edward Petherbridge.) For Cozy mystery the Big Mike series by Garrison Allen, is always good for a smile. For a Fantasy-Mystery read Mairelon the Magician and Magician’s Ward by Patricia Wrede. 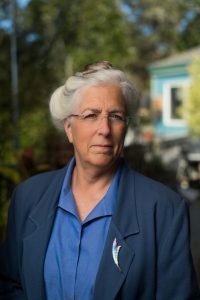 I am more into humorous cozy mysteries, and my current favorite author is Donna Andrews with her Meg Langslow series. The first book is Murder with Peacocks. Meg is a blacksmith, who admits she is nosy, interfering and a bit of a control freak, and seeing her deal with not only the bodies she stumbles on, but her crazy family is a lot of fun. There are 24 books in the series now, and every title is bird focused.